Bolton’s IRONMAN UK race weekend is set to get even bigger with the addition of the Iron Girl event brand to the weekend’s schedule of events, ‘creating a full three-day festival weekend’. 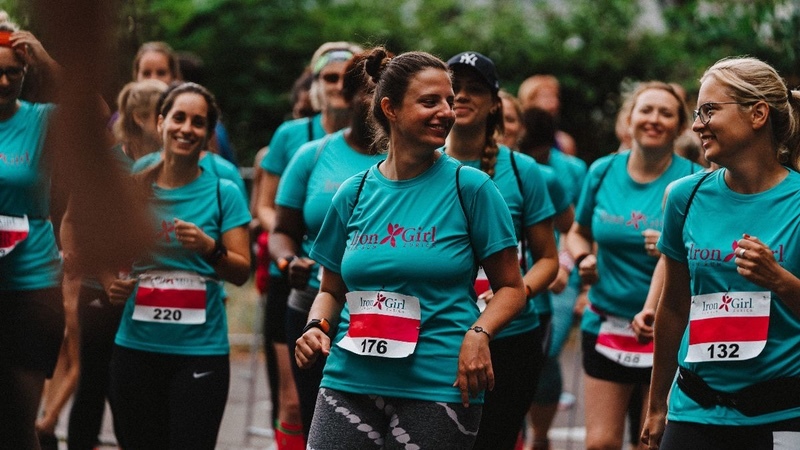 Iron Girl UK will be an evening run event taking place on Friday 12 July 2019 in and around Bolton town centre. Iron Girl UK in Bolton is open to all females, aged 16 plus, and is also positioned as a great warm-up run for athletes participating in IRONMAN UK on Sunday July 14. The Iron Girl series has proved popular around the world, and this will be only the second time the event will be hosted in the UK. Bolton has been home to the country’s biggest and longest running IRONMAN race for the past 10 years. IRONKIDS UK was added to the race weekend in 2012. Since moving to Bolton in 2009, IRONMAN UK has grown into one of the most popular IRONMAN races in Europe and the biggest long-distance triathlon in the UK while IRONKIDS UK has grown into ‘the world’s largest IRONKIDS event’. The Iron Girl race will start in Le Mans Crescent at 19:00 BST on Friday 12 July. Participants will head through the town centre into and through Queen’s Park before returning to the town centre, finishing in Victoria Square on the same finish line as the IRONMAN UK athletes. Each participant will receive an Iron Girl t-shirt; and everyone who finishes, an Iron Girl medal. “We are excited to be bringing Iron Girl to Bolton as part of the IRONMAN UK event weekend this July,” said Sam Brawn, IRONMAN UK Race Director. “Over the years we’ve seen how the weekend has grown and we are delighted to be able to offer this new event and give even more people the opportunity to actively be part of the IRONMAN UK weekend. Executive Cabinet Member for Culture and Sport, Cllr John Byrne, added “Just when you thought this annual event couldn’t get any bigger and better, it does. The addition of Iron Girl will be yet another feature to an already exciting weekend known as much for its festive atmosphere as for the feats of endurance from the athletes.